Outwood Wharf doesn't have any. X1 The Exchange confused me, cos the name is wrong, should be The Gateway. Same with Unite Tower, called Poncey Heights now. 1 at X1 Landmark isn't on there. Not 100% sure on Dn Sq, but think it is only 2 now. What the **** is Citylabs 2.0? I feel like Polygon should be included with the airport total, as in, who gives a ****. Last edited by MatthewDalrymple; April 15th, 2019 at 03:32 PM. 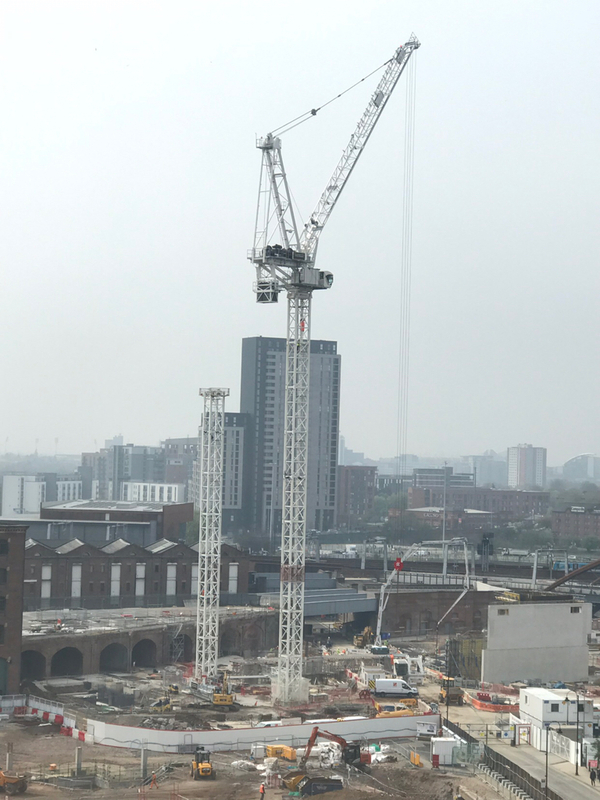 The Landmark is the one on Oldfield Road (behind Middlewood locks) which does have 1 crane and has just restarted. The Gateway is on Trafford Road and has 1 crane, and is currently frozen. The Exchange completed a few years back. So just rename The Exchange as The Gateway and it is right. King Wiliam St/Discovery Quay doesn't have a crane yet but I think Fortis Quay has two? Which I make as 78 rather than 82 (lose 5 add 1)? I will try and take a photo on the way home from work but I saw two flat back lorries with tower crane parts on pulling to discovery quay/king william st today so it may actually be gettings its tower crane after all. You all deserve a crane each. Britain is Great, Manchester is Greater! 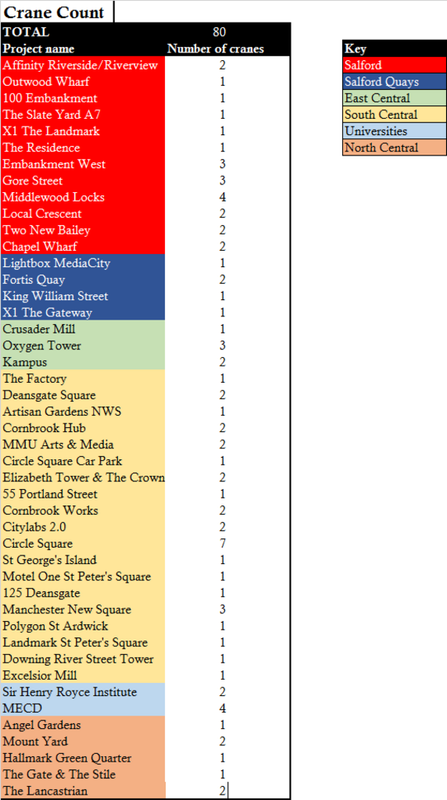 Just a quick scan of the list...the most obvious one is the 'Owen St Podium building' - this is no longer there. Sadly it's 79 as you still have Outwood Wharf on your list. I would hope there are a few to go up at St Johns? Not to mention plot 9A at First Street; Old Brewery Gardens, Transition; Lomax Street is due to start (a building app has been approved); Lampwick will likely start soon; I can imagine another at Talbot Mill; Eider House will start once Dakota has finished; Tirbeca will start soon though I'm not sure if that is having a crane. Why the bitchiness and snarkiness? A simple question - that's all. Just trying to get a few opinions on what's coming and going. You really do yourself no favours, why anyone bothers posting here I don't know - there's always some sort of bitchy comeback from you. It's all so un-necessary. This is a public site not your personal Facebook page.